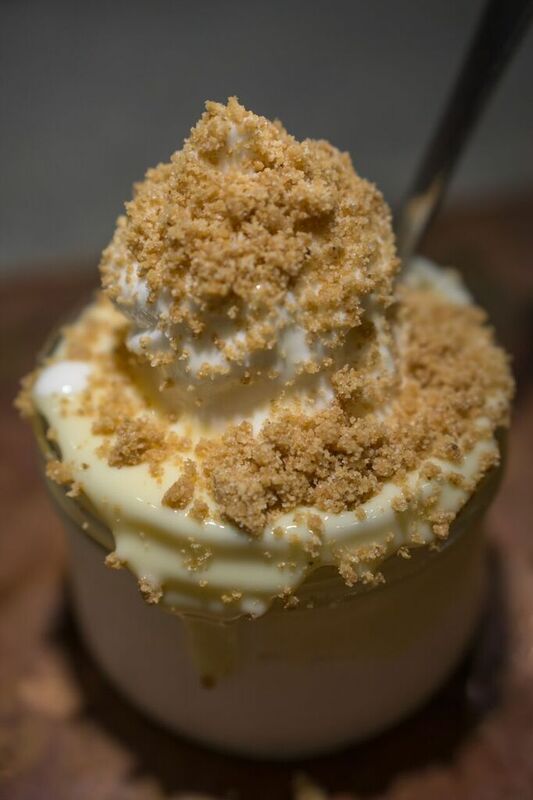 Sobo's famous key lime pie deconstructed and put on top of our smooth light organic soft serve ice-cream. Red Can's decadent fudge brownie that pairs perfectly with any of our in house sauces. Jupiter's cookie dough prepared with delicious chunks of Skor toffee. A favourite for kids and big kids alike. Tacofino's spicy chilli chocolate cookie straight from the bus onto our ice-cream. This unique flavour is a must try. Tofino Coffee Roasting Company's medium roast brewed slow with ice water and poured over our soft serve creating a frosty, icy float. A shop favourite. 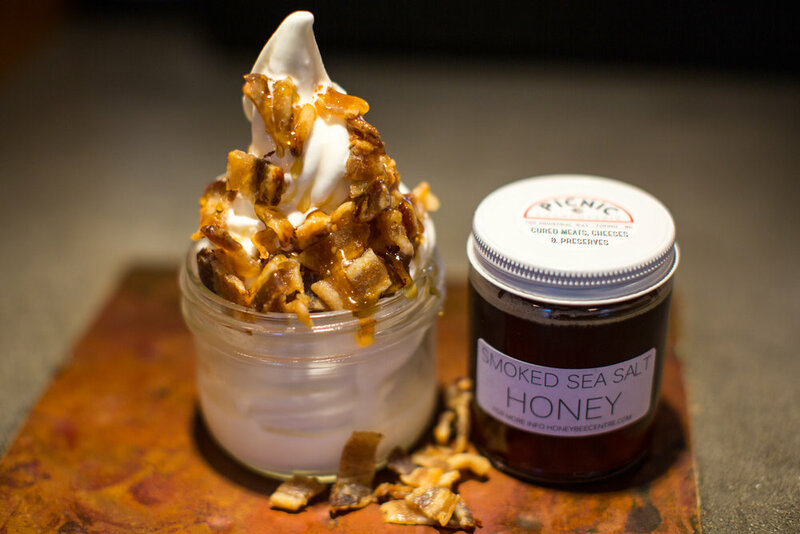 Picnic's bold smoked sea salt honey drizzled over their dry cured phosphate free bacon. This pairing makes for a deliciously weird and fun dessert. For the purest. Our ice-cream and frozen yogurt can be enjoyed on it's own. Our vanilla has a smooth subtle flavour while our non-dairy chocolate sorbet have a bold taste. Enjoy them on their own or have them swirled together. Our natural flavoured frozen yogurt brings a half tart, half sweet taste. Refreshing and delicious. Tofino Licks uses the finest ingredients, locally sourced toppings and fresh sauces to bring you an unforgettable ice-cream experience. 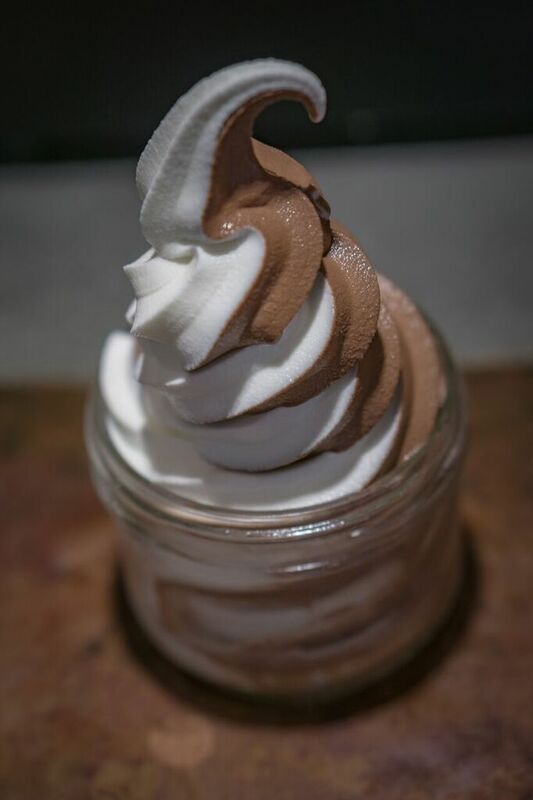 Our imported Italian soft serve vanilla ice-cream and frozen yogurt are made in shop using local BC organic milk. Tofino Licks also provides a dairy free option with our decadent dark chocolate sorbet. Tofino Licks collaborates with restaurants and cafes from around town for a truly locally sourced product. 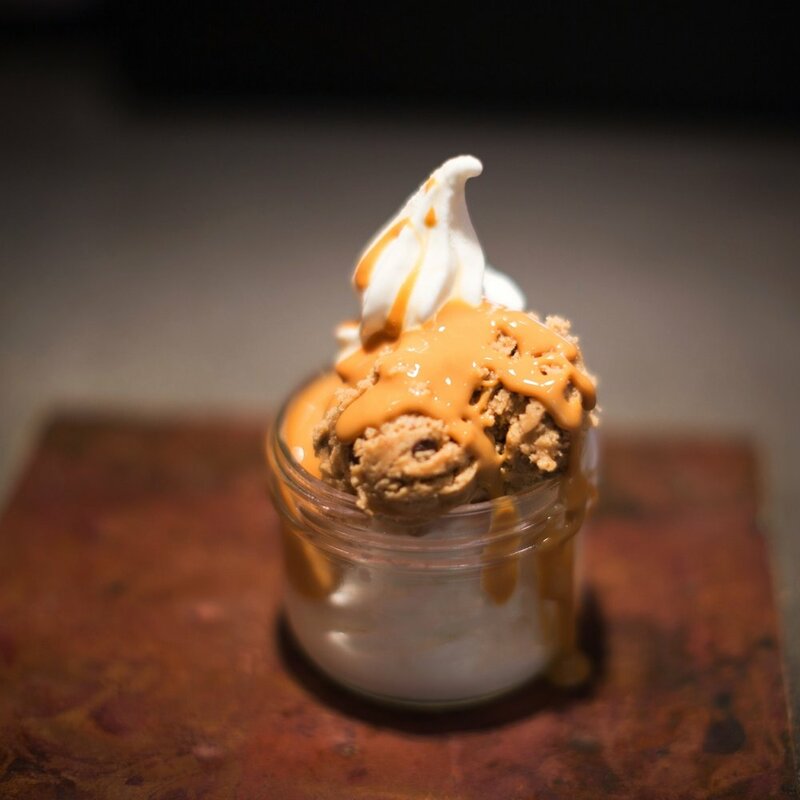 Whether it's Tacofino's Diablo Cookie, Sobo's famous key lime pie or any one of our delicious toppings, Tofino Licks gives you a taste of the best treats Tofino's world class culinary scene has to offer. Top that with fresh sauces made in house and you have a unique ice-cream experience you'll want to tell your friends about. Come try a LICK today!! Please contact us with any questions or concerns or if you have suggestions or feedback. Thank you!! Copyright 2017 © Tofino Licks. All right reserved.